Pest infestation is one of those things we would really rather not deal with. We want to be rid of those creepy crawlies as soon as possible and naturally, we are inclined to reach out to the nearest pest control Brisbane service we can find. It is important to take a little time and effort though to ensure you hire the right pest control company. Here are some key qualities to look for in a pest control Brisbane expert. A credible and professional pest control Brisbane expert will look presentable and have all of the licences and certifications needed to safely carry out pest control in Australia. Affordability is crucial but it should not be the only determining factor. It is okay for you to compare prices from different companies but do more than that – look for hidden clauses, what is offered and excluded and the reputation of the company. Professionals may charge more but the price may reflect the quality of service they offer. It is perfectly normal to be concerned about the chemicals being used, and how they may affect your loved ones. A professional pest control Brisbane expert will gladly explain what needs to be done before, during and after the process is complete. They will discuss with you all possible eradication options from chemically-induced solutions to non-chemical solutions and possible adverse effects, and how they will ensure your family and pets are kept safe. A professional pest control Brisbane expert will recommend measures that can be put in place to keep the pest problem from recurring. Pest control experts should be both knowledgeable and experienced. They will not only present all possible solutions but also recommend the best solution for you. Online reviews from past customers are an excellent way to obtain an unbiased opinion of a company’s services. You can also ask the company to provide testimonials for you to review before making your choice. 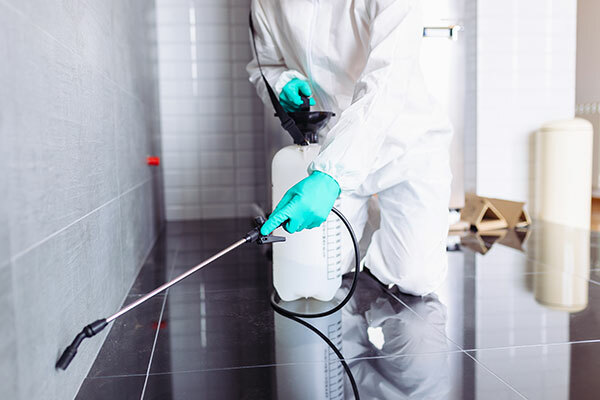 Finding a professional pest control company to handle pest infestation requires you to take a bit of time so as to ensure you get the right one. Sun Dry are professional pest control Brisbane experts and highly experienced at dealing with all sorts of pests. Contact us today for a free quote.